Exclusive! 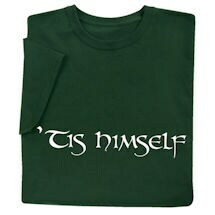 A traditional Irish way to denote who's really in charge. 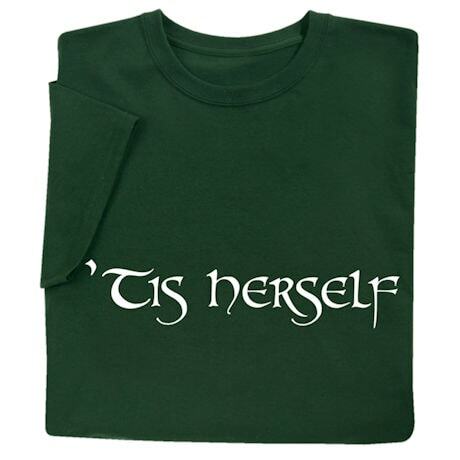 Terms of respect and affection, "'Tis Herself" and "'Tis Himself" can also be lightly teasing. Gift your spouse or share the honor with a shirt for each of you. Dark green sweatshirt is 50/50 cotton blend, T-shirt is preshrunk 100% cotton. Sizes S-3XL. Imported.